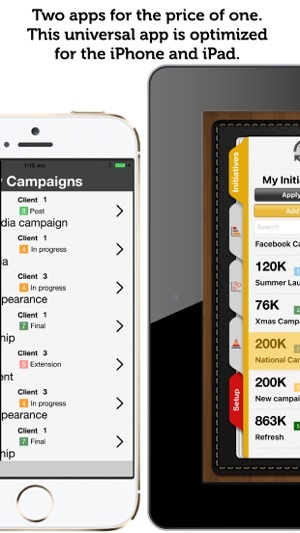 Plan and track marketing plans using the intuitive BusiBI Campaign Manager for iPad. 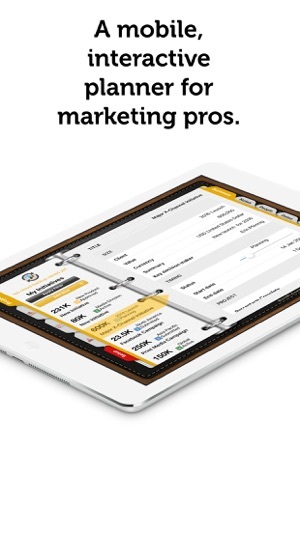 The new app for Marketing Managers. As featured in The Sweet Setup, WINK, Girl's Guide to Project Management. Clearly communicate brand and customer acquisition objectives. 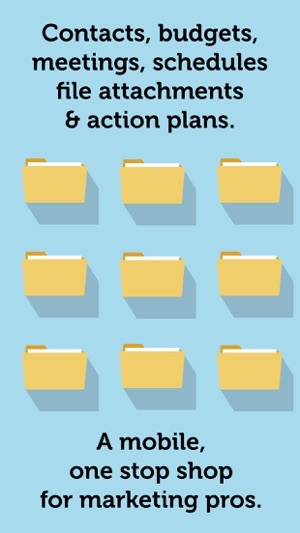 Visually track progress across multiple overlapping initiatives. Breakdown and customize your budget across each channel. Assign actions and priorities to the team and set up automatic reminders across your iPhone, iPad and Mac. Link in your art samples, presentations and other supporting media and documents from Dropbox. 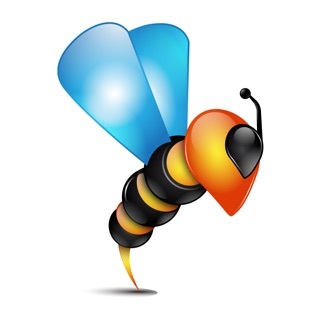 No more copying and pasting multiple versions. Designed for iPad with intuitive, visual interaction. 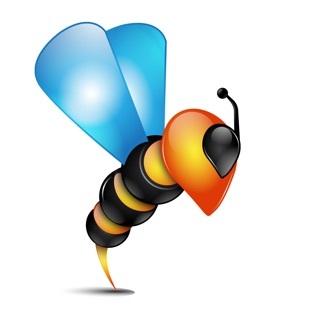 Easily add your own language, terminology and templates. Focus on visually representing your program of initiatives, not just another spreadsheet or database. 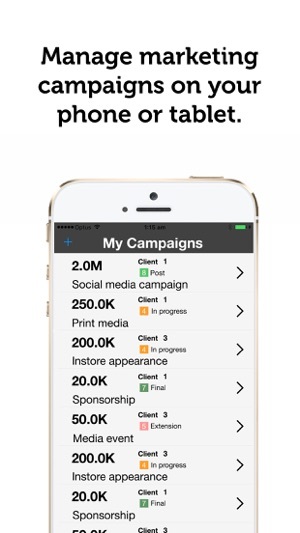 BusiBI Campaign Manager is now available as a Universal app, optimized for both your iPhone and iPad.